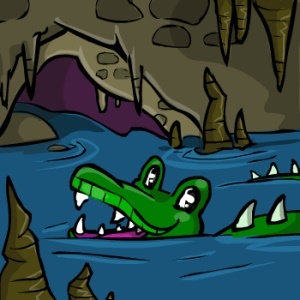 Sam is a Crikey who likes to swim in and around the waters of Dukka Caves. He helps to keep the Dukka Town item wishlists organised, and knows everything about every item in Marada. He has a puzzle game for you - he will select a random item and scramble the letters in that item to create an Anagram for you to solve. If you solve the item anagram within his time limit, he will reward you with MP. If you are really lucky, he may even reward you with a rare coloured Blood item! You can play this puzzle game once every 30 minutes.